Steps away from the iconic Fenway Park, The Harlo offers modern city living with all the luxuries one could desire. 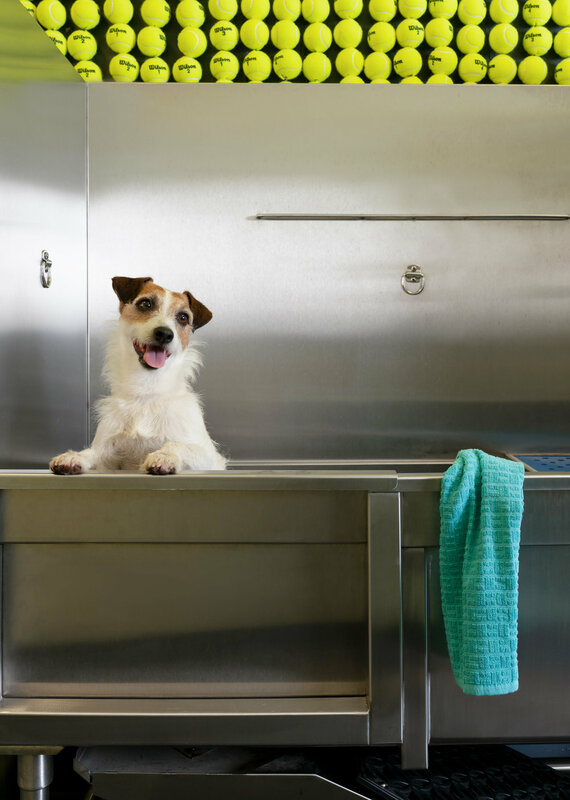 One third of Americans own a dog these days and The Harlo caters to both its human and canine tenants! 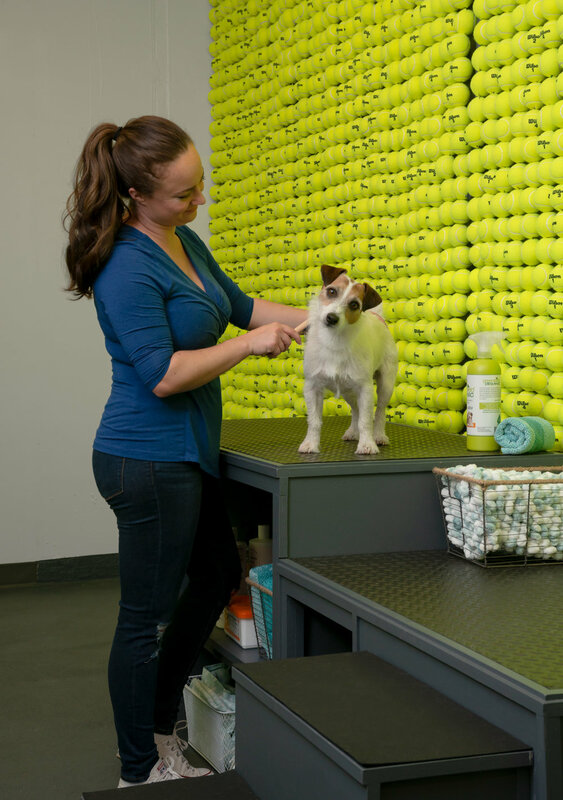 Malloy Interiors designed this space with your best friend in mind. 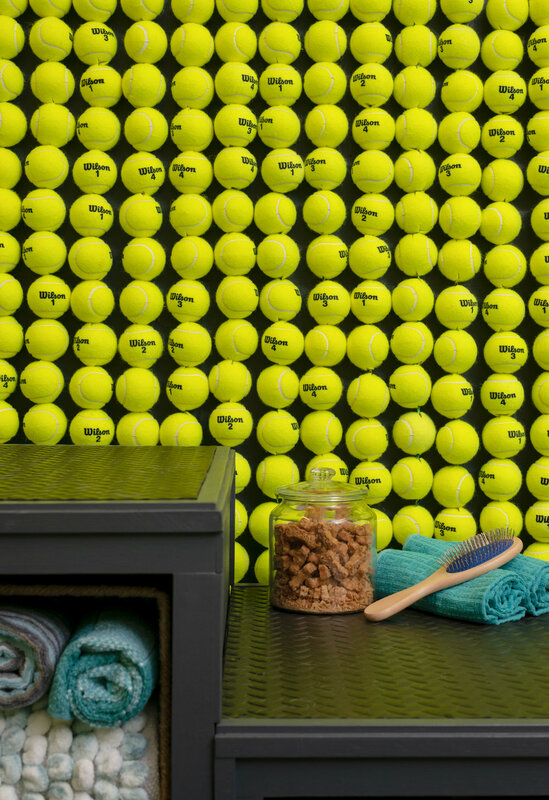 Over 5,000 tennis balls were used in this wall installation to ensure your pup always has something to look forward to...even when getting a bath.